Minnetonka (MN) saved thousands of dollars and restored a community playground at Mayflower Park with the help of GameTime and Minnesota Wisconsin Playground. Originally designed and installed in 1996, the playground at Mayflower Park transformed a vacant lot into a community gathering place. The vibrant colors of the playground equipment earned Mayflower the nickname of “Rainbow Park” and local families visited the park so frequently that the park was often overflowing with children playing. 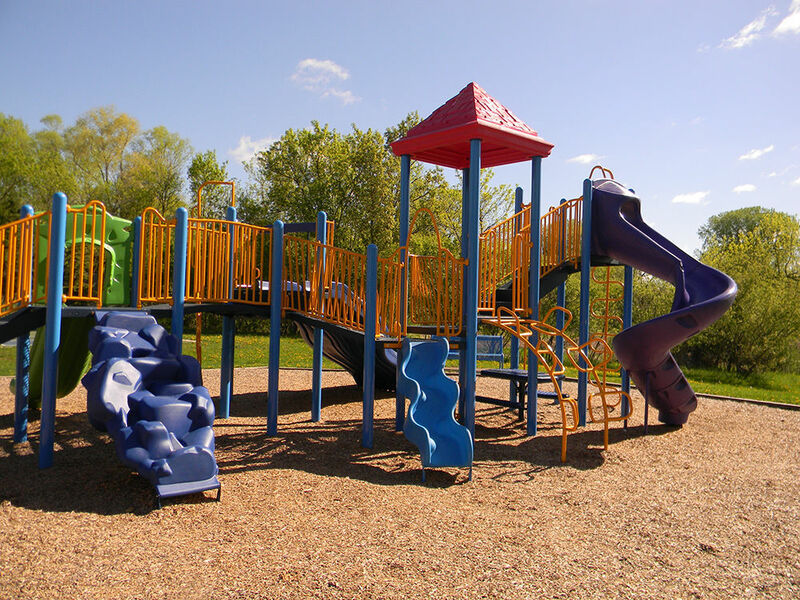 After 17 years, the City of Minnetonka decided to replace the playground equipment to accommodate even more children and to give families a new and exciting way to play. The City’s Park and Recreation budget was tight so community leaders turned to Minnesota Wisconsin Playground for a solution. By recycling the posts, the City avoided the cost of new materials and installation and supported their sustainability initiatives. The recycling solution kept hundreds of pounds of steel out of the landfill and saved the City of Minnetonka over $15,000. Minnesota Wisconsin Playground designed a new play structure using the original posts, adding new climbers, slides, bridges and more. They made the playground more accessible according to new ADA guidelines and added ground level play activities for children of all abilities. Today, the City of Minnetonka has a new playground at “Rainbow Park” that is more fun, more accessible and more green than ever before.